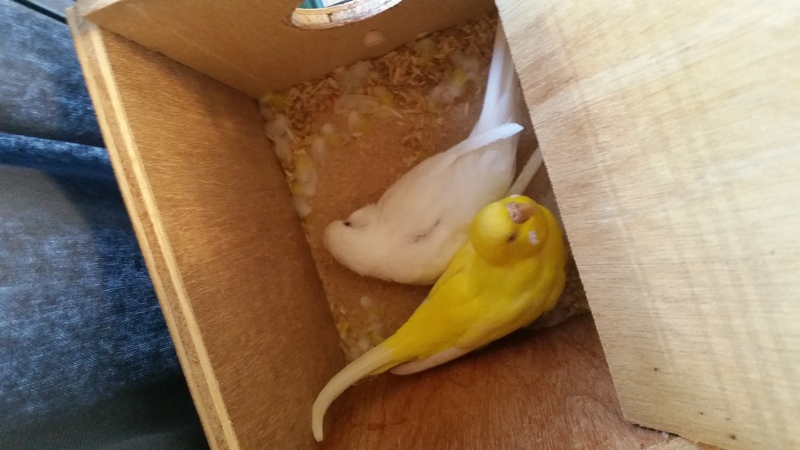 Siri and Soma are still laying eggs in our nestbox! There are two left which I haven’t checked, so I will let them sit for another day and then I will pull them, make sure they are infertile, and then discard them. This is unless there are baby chicks forming, which is highly unlikely. 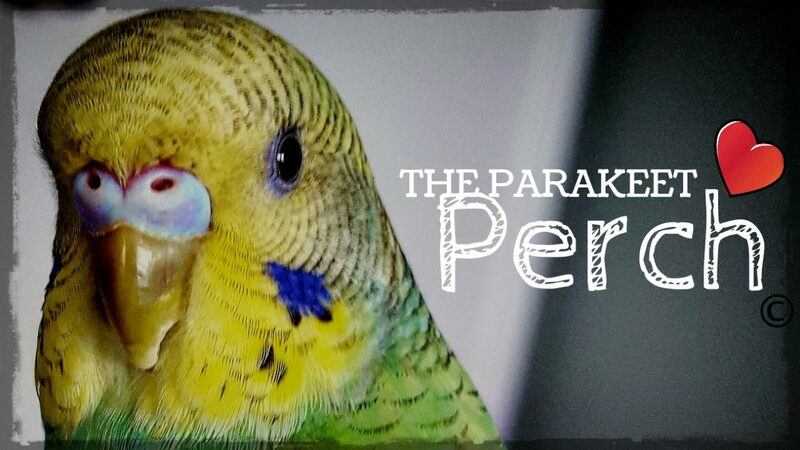 I will be heading to our local hardware store today to find some materials to patch up the hole where the nextbox currently attaches to the cage. 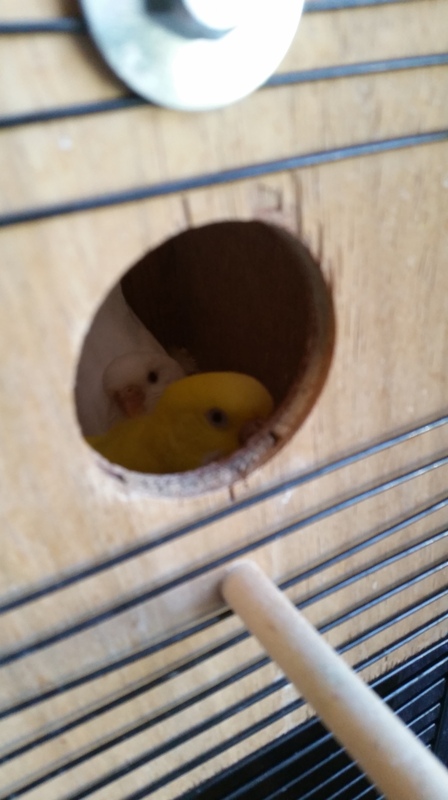 This will allow me to remove the box and hopefully discourage the girls from laying more eggs (the holidays are coming…take a break budgies, whew)! For now though, happy sitting ladies! How did you repair the bird cage after removing the nest? I left the box and simply turned it around so they have a solid wall instead of an opening.